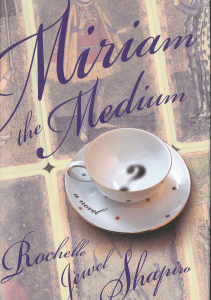 Writer whose novel, Miriam the Medium, was nominated for the Harold U. Ribelow Award, and its sequel Kaylee’s Ghost was an Indie Award Finalist. Ms. Shapiro’s essays have been published in The New York Times and Newsweek. 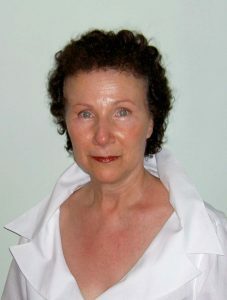 Her short story collection What I Wish You’d Told Me, was published by Shebooks, and her poetry was published in The Iowa Review, Sedge, and Moment. She won the Brandon Memorial Literary Award. Writing is daring to put your thoughts on the page. Yes, daring, without “tsk-tsking,” back peddling, or worrying that someone else can do it better. No one can write what’s in your mind better than you can. My goal is to help you say what you’ve always wanted to say in a way that makes readers feel as if they’re listening to their closest friends. I encourage you to use your most colorful language, whether from your ethnic background, hip hop, urban or rural slang, even words invented in your family. (My mother used to call dust balls “kivvies.”) And through asking questions, I guide you to use all your senses so that readers can picture and taste and smell and hear exactly what you want them to. You have all the material you need for writing—your life! Blog: Click here to leave our website and go to Rochelle’s blog.